People like to visit different countries to check out new traditions, cultures, and cuisines. Nowadays, visiting abroad is not a big thing as the cost of flying has become affordable now and is pretty much in your budget. But if you like to visit outside India on holiday or for business, you must have a passport to get the visa for your trip. The application process has been made quite simple by the government of India. Now, if you are a minor below 18 years of age, you can possess your own passport. The complete process to get a passport in Bishnupur, Thoubal, Imphal East & West, Senapati, Manipur is mentioned below for your help. Hope it helps. Visit the official Passport Seva portal at http://www.passportindia.gov.in/AppOnlineProject/welcomeLink. If you are a new user, you have to register yourself first to the website. Fill up the registration form with your personal details along with the email id. The activation link of your account will be sent to the email id. Click on it to activate the account. Now log in the Passport Seva website using your user id and password. The application can be done both the online and the offline ways. If you want to apply offline, you can download the form via this link http://passportindia.gov.in/AppOnlineProject/online/downloadEFormStatic, take a print out in A4 sized paper and upload it later. 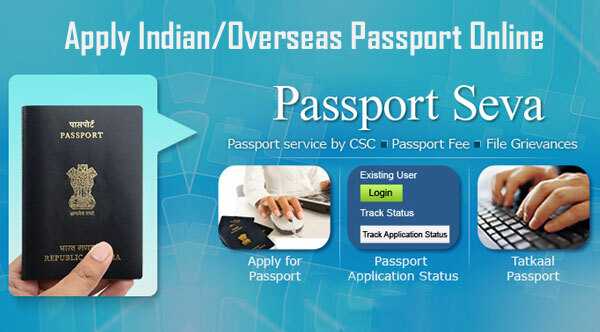 For online application, visit the link https://www.slideshare.net/passportindia/filling-passport-application-form-online-21818509/1 and fill up the application form with all accurate details. Remember any wrong information may reject your application. Upload all required documents and submit the form. Take a print out of the acknowledgment form and book. Now click on Pay and book the appointment. You can complete the payment via credit card, debit card, and net banking. Choose a suitable date for appointment from the list. At the time of appointment, visit the Passport Seva Kendra with the acknowledgment form and all required documents. After submission, you will be given an acknowledgment slip using which; you can track your application later. After certain levels of verification, your passport will be issued and sent to you via post. Proof of Address: Bank Account Passbook, Voter ID card, Water Bill, Mobile Bill, Gas Bill, Electricity Bill, etc. Proof of Age: Birth Certificate, School Leaving certificate, Aadhaar Card, PAN Card, Driving License, Voter ID card, etc.